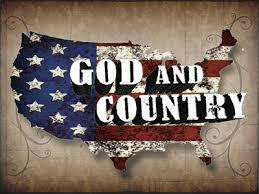 God and Country? What Kingdom Are We of? I used to be a rabid right-wing supporter of Americanism and “God and Country” was my mantra. Looking back, I had put them on an equal plane in my thinking. I supported America getting involved in the Vietnam War “to save the world from communism.” After all, wasn’t atheistic communism the opposite of Christianity? But after spending three years fighting in that war I saw things a bit differently. What a farce! That war was all about trading the blood of our young men and women and exploiting another nation so huge multinational corporations with politicians in their pockets could make extortionist war profits, including the then President of the United States, Lyndon Johnson. The industrial-military complex that President Eisenhower had warned America about had taken over (see http://www.history.com/this-day-in-history/eisenhower-warns-of-military-industrial-complex). For me the real lesson learned was not political in nature; quite the opposite. When I totally surrendered to Christ in 1970 after coming home from that war, I was born of the Spirit of God. I no longer was of this world system ruled over by the prince of this world (John 12:31-32). When Pilate asked Jesus why His people wanted Him executed, His answer is very instructive, “My kingdom is not of this world.” When we are born from above we become aliens to this world and citizens of God’s kingdom (1 Peter 2:9-11), not of the kingdoms of men. As such, our hearts are now His and are not entangled with the things of this world (2 Peter 2:20). Jesus was no more a Jewish patriot than He was a Roman citizen. He made it clear that He only did what He saw His Father doing. He got His direction from a Source higher than even the Jewish law and those enforcing it, the High Priest and the Sanhedrin. This is why they hated Him! He was not subject to their control. His kingdom was not theirs, since they were of their father the devil and they did what he wanted, just as Jesus said they would (John 8:42-59). His blood was on their hands as a result (Matt. 27:15-25). Jesus told His disciples that as they walked by the Spirit as He did, they could expect the same treatment He got. Christians, real Christians, need to realize what kingdom they are of and whose voice they follow. For the first 300 years, the early Christians were martyred wholesale because they would not swear allegiance to Caesar. They counted it joy to be persecuted in the name of Christ and His kingdom. How many of us Christians today are sold out to Him like that? Daniel saw it coming when he saw the image of a man depicting the world kingdoms whose feet were a mixture of clay and iron. The scripture makes it clear that iron represented the Roman Empire because the legs of the statue he saw were iron (see Daniel ch. 2). It also makes it clear that God is the Potter and we are the clay (Isaiah 64:8). What is clay doing mixed with iron? The churches of the world system today are still an unholy mixture of God’s people adhering to governments that descended from ancient Rome—the empire that incorporated Christianity into its pantheon of paganism to solidify its power. Yes, Emperor Constantine stopped the persecution of the Church, but he also killed its loyalty to Christ with an embrace that smothered God’s Spirit life right out of her and became the final word in all things pertaining to Christianity. 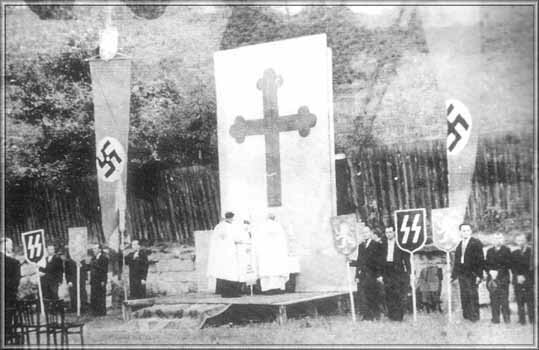 The Church has been subservient to world rulers ever since.